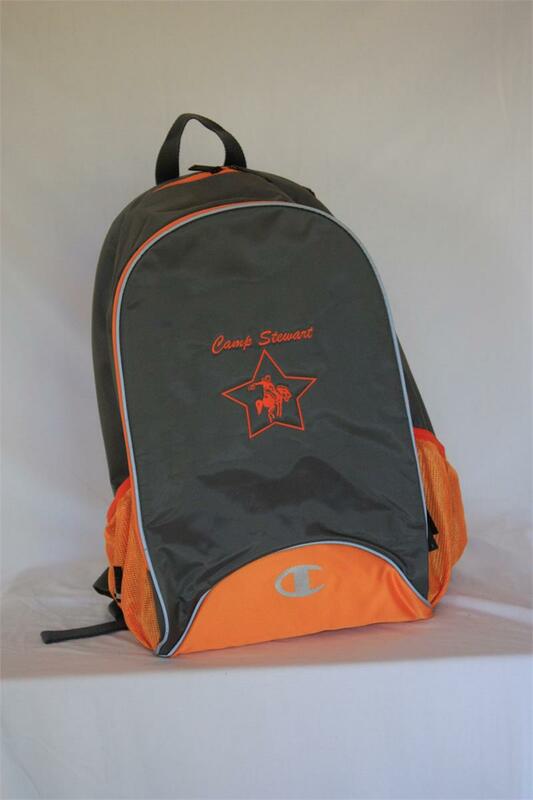 Camp Stewart Backpack is grey with orange stitching. Made by Champion, it has two front pockets and a center pocket. Side mesh pockets for water bottles will be perfect for hot days at camp!